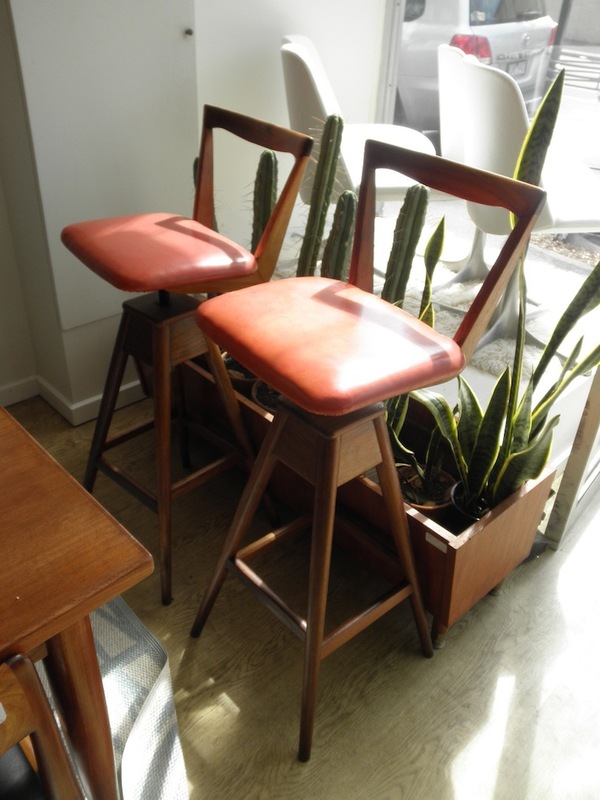 This pair of original TH Brown stools are the full height round leg versions and come with the original burnt orange covers. The frames have been pulled down and re glued, finish redone in the factory original finish and checked for any faults. TH brown produced a huge range of different variations of these stools and this is one of the most pleasing – curved wide seat, rounded legs and mid -height broad back. 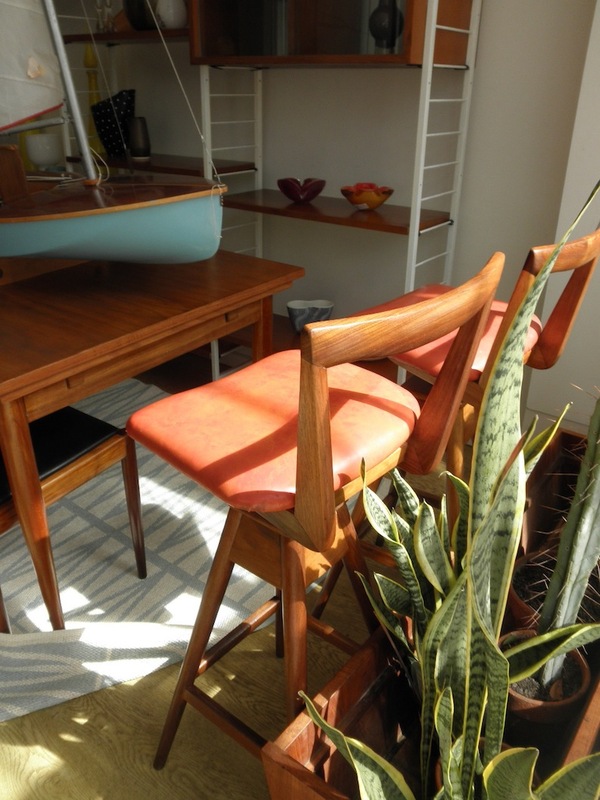 We can reupholster these in a vinyl colour of your choice for an extra $50 per seat. two more white ones available.